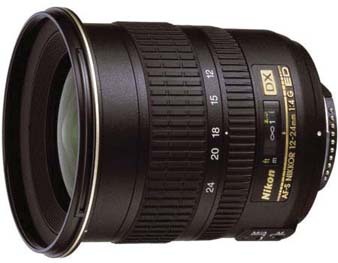 The Nikon AF 12-24mm f/4G AF-S DX is a wide-angle zoom with internal focusing for greater balance and usability plus it features increased contrast and accurate color fidelity. It has a constant f/4 aperture across the entire focusing range and is ideal for capturing landscapes, vistas, events, and street photography. • Not recommended for full frame (FX) DSLR cameras (unless your DSLR supports DX "crop mode") nor 35mm film SLR cameras.